Next Post > Next post: Sonic Amateur Games Expo 2014 is a go! Holy crap june june 15 is my b day 😀 and i live in the oc this is so perfect ! We’d love to have you, Andres! Finally they have the release date of Sonic Revolution 2014 and also did you know Matt from Tails Channel? he’s going Sonic Revolution 2014 to Then one more thing is Sonic Boom going to have a demo at Sonic Revolution 2014 hope Sonic Boom video game for Nintendo Wii U and Nintendo 3DS is perfect! I’m not certain if Matt from TailsChannel will be joining us or not, though I’m hopeful. As for Sonic Boom – we are in no way affiliated with SEGA at present and will not be having demos of the Sonic Boom game at the event. We need a sonic revolution in Missouri! Unfortunately it is quite expensive to host just one event; however, we put our full support behind fans anywhere trying to get their own events going. Is there an age limit? I’m in my late teens and would love to join you guys. You’d only need someone who was an adult with you if you planned on getting a hotel room. The temptation is great. I had so much fun at Sonic Boom, I’ll definitely consider this. Sonic Boom’s Stephen Frost has shown interest in attending. It’s nice to see that the Summer of Sonic has inspired others to come up with their own Sonic fan convention. Hope th day goes well. Speaking of the Summer of Sonic, I wonder if we will get any announcements soon. Well, Sonic Revolution has a fairly interesting background on that subject. We initially began with Sonic Boom West as a reaction to Sonic Boom moving to Missouri last year; the team figured there was no reason Sonic fans couldn’t have a gathering without SEGA. 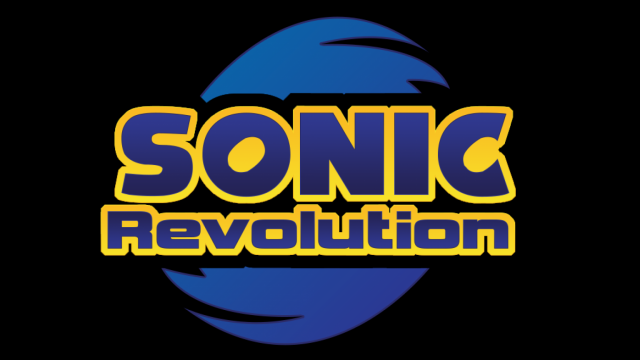 Sonic Revolution (the convention) is likely to remain a West Coast affair for the time being. However, we’re far from a “California-only” movement as some have alleged, as Sonic Revolution (the organization) has put its full support behind meetup and convention ideas all across the country and world. On that front we drew a lot of inspiration from Sonic London – we want there to be regular meetups in every major city, and helped form groups in most US States to help with that. We also have contacts in Brazil who are working on getting a meetup/con system going there too. We’ve overall gone through a lot of changes in our short history. First we focused on California and wanted to get regional conventions going across America, then we wanted regional cons across the entire world, then we also wanted to get meetup groups going. As for the event itself, it was initially a reaction to Sonic Boom, but we decided that we wanted to more or less improve on Sonic Boom; Sonic Boom is only four hours long despite how much fun it is, for example, so we wanted an event that was closer to all-day, similar to Summer of Sonic. I rambled, forgive me! I too am hopeful we’ll see Summer of Sonic and Sonic Boom announcements in the near future. I still made my donation though! Hopefully next year it will be a full weekend so that I can make it down! Hope the con will be a great success guys! I’m SO looking forward to this event. Serenity Seven is the main reason why I’m coming. I just heard about this event yesterday, and when I looked it up today, I saw that eventbrite was out of tickets. D: is that the only place to get admission, because I really want to go and I wouldn’t mind paying to attend if it came to that. Or should I just look on the website for any ideas?